"During [the Christmas holidays], you can talk to any Puerto Rican and ask them where's the coquito, and they will pull it out of somewhere in their house." 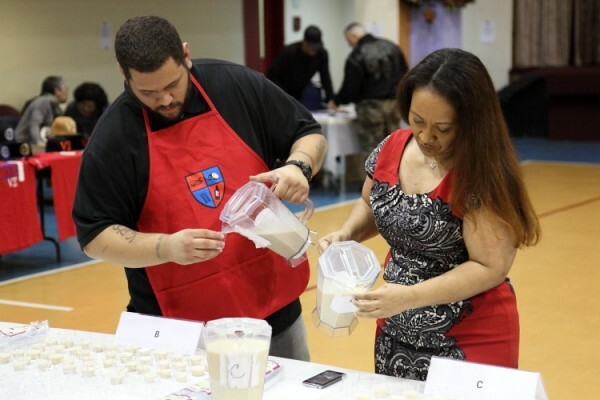 That's Debbie Quiñones, founder of Coquito Masters, a contest that crowns the best homemade coquito in the New York City area each December. In Puerto Rico, coquito is at most parties and family gatherings -- from Christmas caroling (called parranda, or parading) to Noche Buena, New Year's parties, and Three Kings Day. If you don't know -- coquito is a coconut milk-based drink that's spiked with rum (or pitorro -- aka moonshine distilled from fruit) and lots of spices. 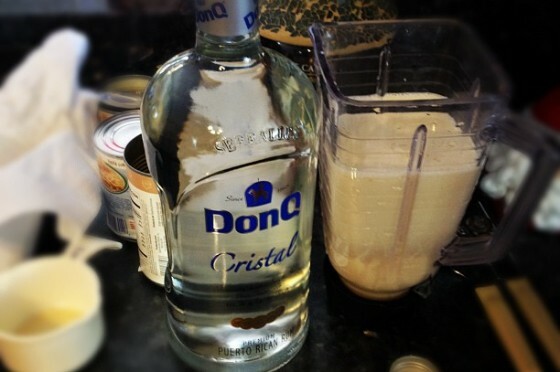 This week on The Sporkful, we stop by Debbie's coquito contest to get some pointers from master coquito makers. "It has a really nice creamy texture, and then the liquor hits you later," says Jean Scales, of her coquito recipe, which comes from her grandmother Celia. I think [coquito is] the centerpiece of our Christmas celebration," George says. 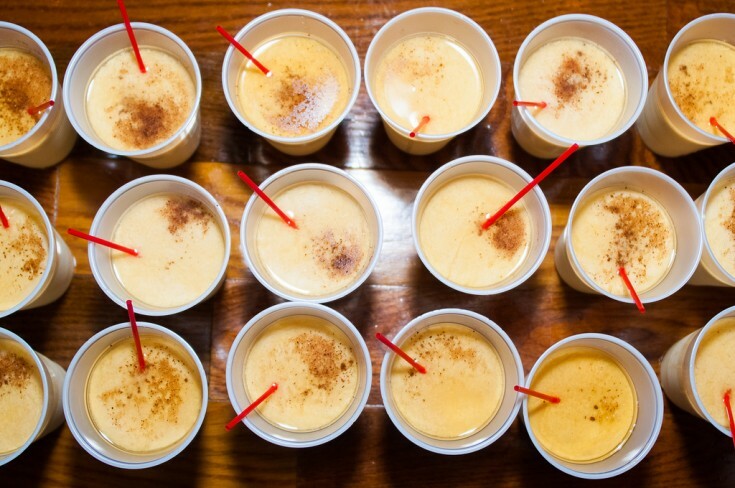 "From Thanksgiving to Three Kings Day -- that's the coquito season." 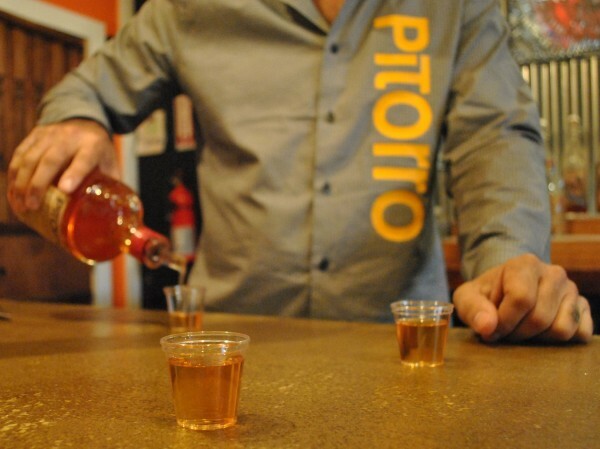 And we discover a bold, new take on coquito -- a pitorro (below) infused with cinnamon, coconut, and sugar. 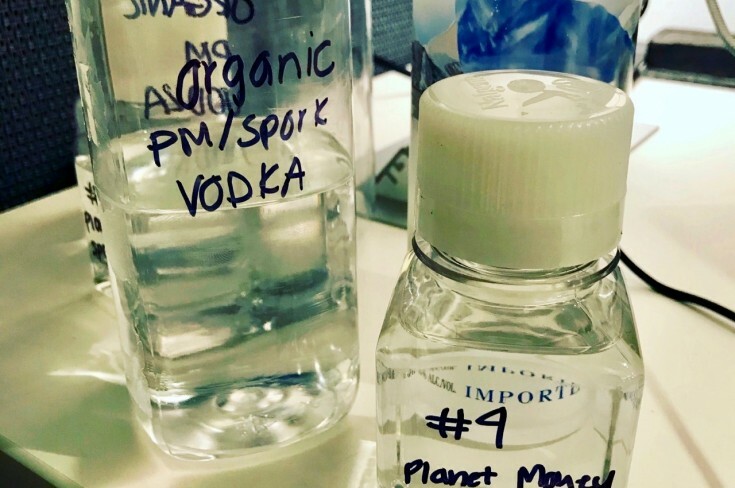 It's a specialty of the Port Morris Distillery in New York's South Bronx. Plus, we learn how Hurricane Maria affected Christmas celebrations in Puerto Rico last year. "The people who had a little bit of electricity...used a generator to turn on a little bit of lights," Tania says. "But...they didn't need lights, they didn't need a Christmas tree. They just needed to work as a community and help each other." Listen in to the episode for the full conversation with Tania Lopez. 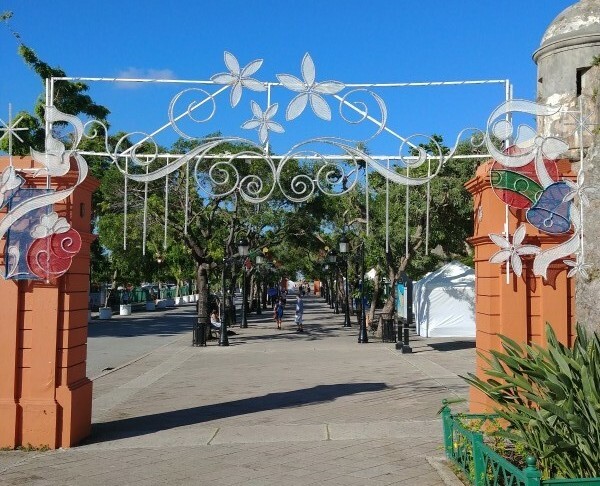 Below is a photo of Christmas decorations in Puerto Rico last year. 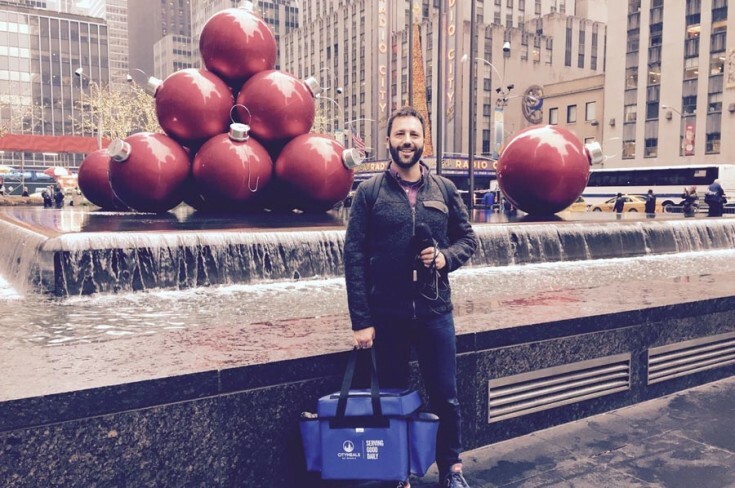 We deliver food to elderly New Yorkers who can't shop or cook for themselves, and talk with them about the role food plays in their lives today.